Five new entries in the top 10 have mixed up the charts this week. 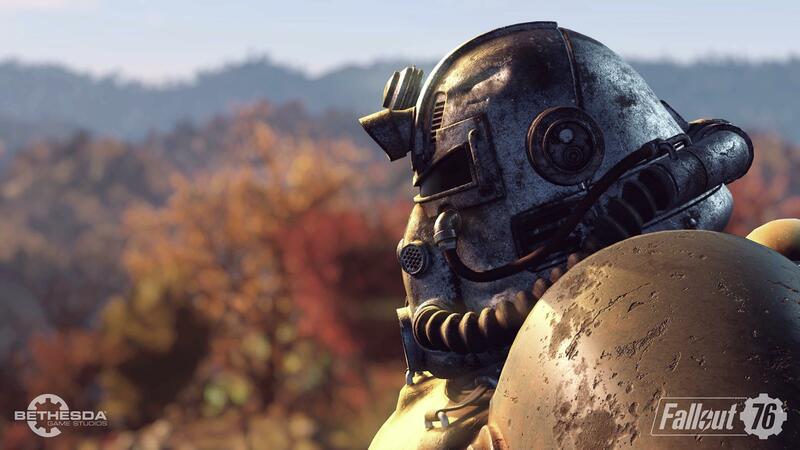 Fallout 76 launched last week, and while it was inevitable that an online multiplayer title wasn’t going to have as much attention lavished on it as a brand new single-player game from Bethesda, there’s a huge difference in sales when compared to 2015’s Fallout 4 with the latter outselling Fallout 76 by 82.4%. GamesIndustry.biz reports that despite making its UK charts debut at No.3, in terms of revenue, the title made the most at retail. Meanwhile, Spyro Reignited trilogy, which entered the UK charts at No.1, was No.3 in terms of revenue, thanks to its comparatively lower price. 75% of its sales were on PS4. Nintendo’s Let’s Go Pikachu and Eevee also launched last week, jostling into the charts at No.4 and No.6 respectively, although if the sales of both games were totted up together, they would have held the top spot. Hitman 2 slipped into the charts at No.10 and although digital downloads aren’t accounted for in the charts, physical sales are 90% down compared to 2012’s Hitman Absolution. You can check out the UK charts’ top 10 below. Black Friday is this week, which means slashed prices all around, so we’ll see how the various discounts and promotions affect the charts next week. You don’t have to wait until Friday to get yourself a bargain. Here are the best Black Friday deals before Black Friday has even begun.